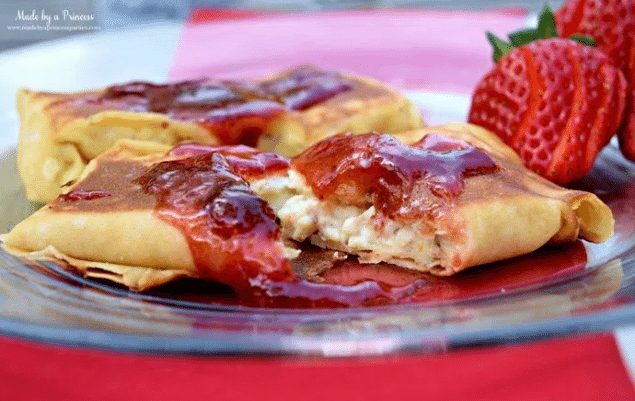 When you think of a blintz you probably don’t imagine it filled with chicken and topped with strawberry preserves. I understand. 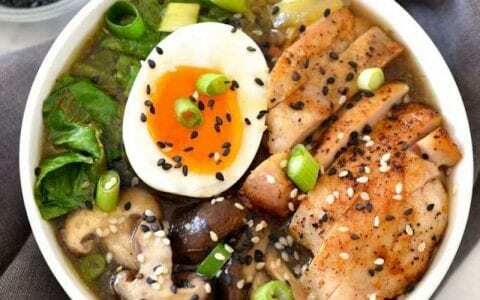 I didn’t either until I made one and now I find myself craving them for breakfast. 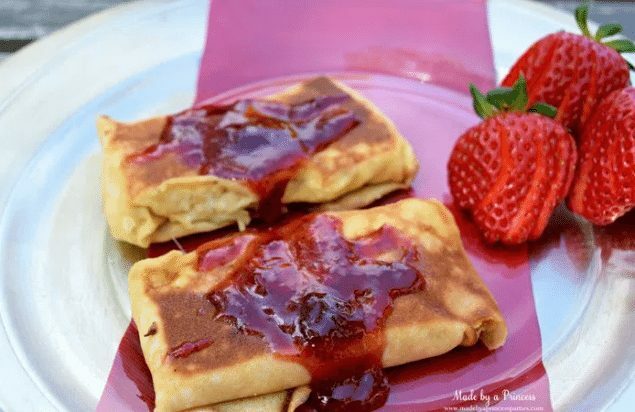 I am sharing my Savory Strawberry Preserves Toasted Coconut Almond Chicken Blintz Recipe with you just in time for Mother’s Day. taking a bite of the filling I was pretty sure I wasn’t going to have to use it. 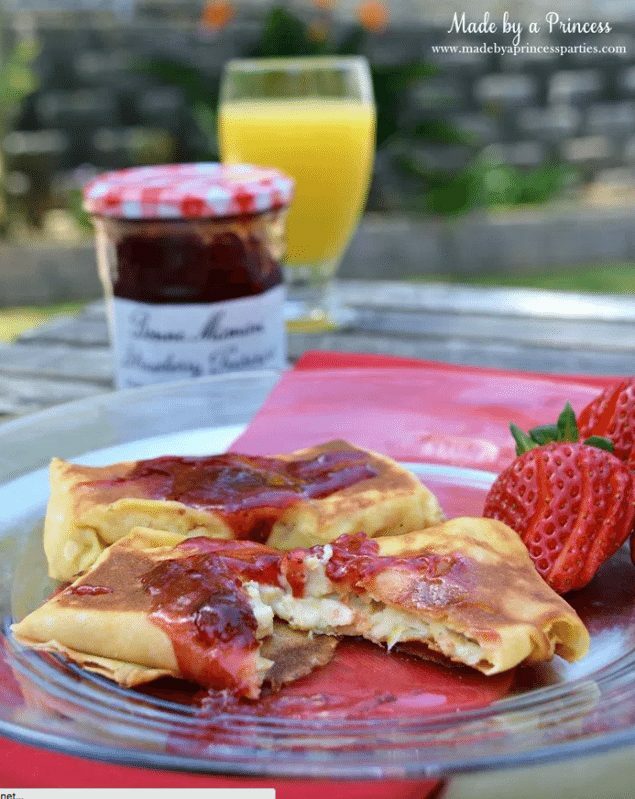 The addition of Bonne Maman Strawberry Preserves really makes this recipe stand out and gives it a little extra sweet kick. 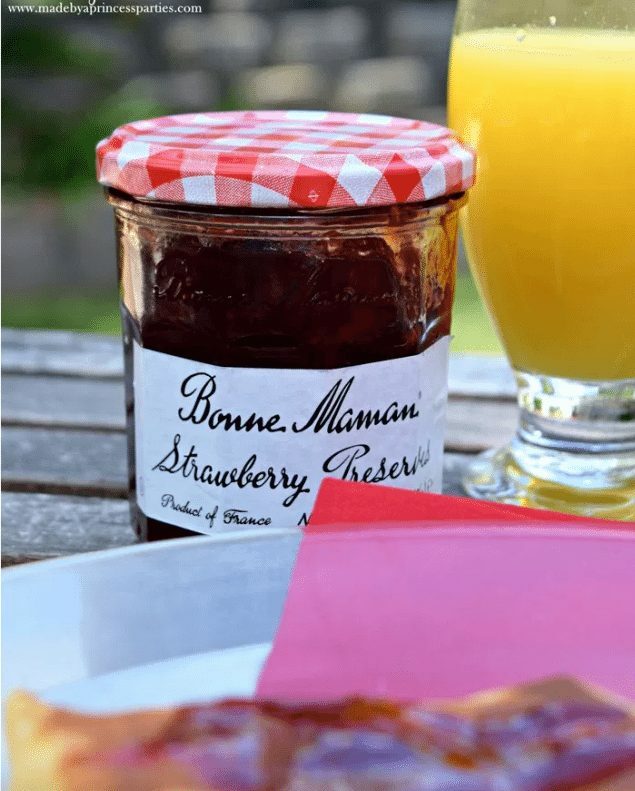 You probably recognize the traditional red gingham label but have you ever tried Bonne Maman preserves? Did you know Bonne Maman means “Grandmother”? 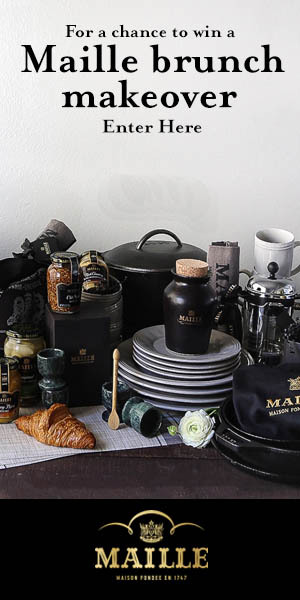 Bonne Maman uses simple, wholesome ingredients…just like your grandma would use. They are produced in France (oui oui! ), are non-GMO project verified, have no high fructose corn syrup, no artificial coloring and no preservatives added. 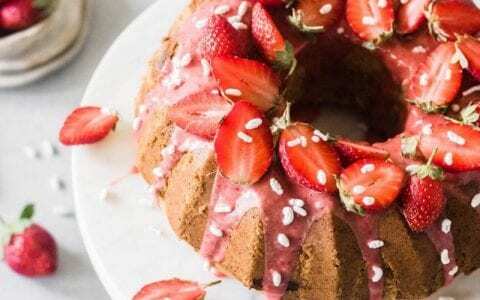 I especially love the big chunks of strawberries in their strawberry preserves. I warmed the preserves in a saucepan before plating so the whole dish would be nice and warm. 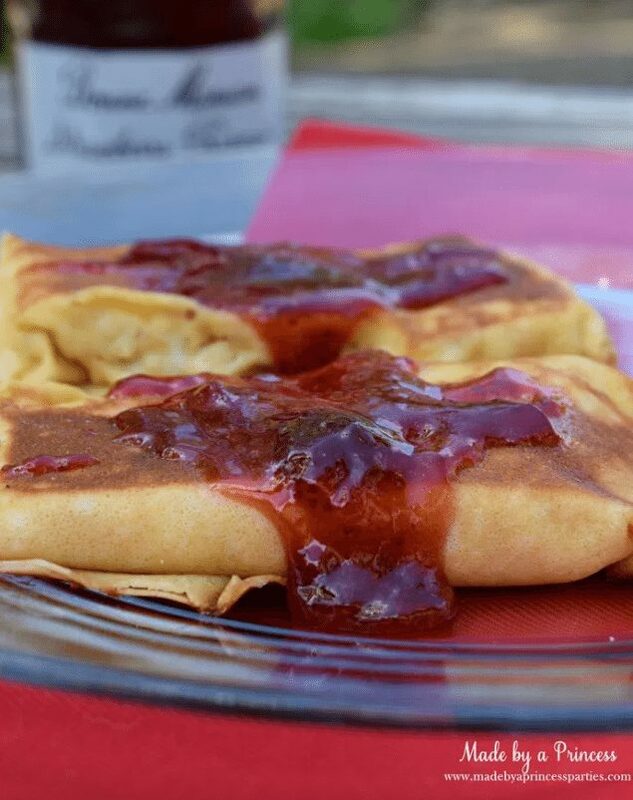 If you prefer to have your preserves right in your blintz you can add some before folding your crepe. 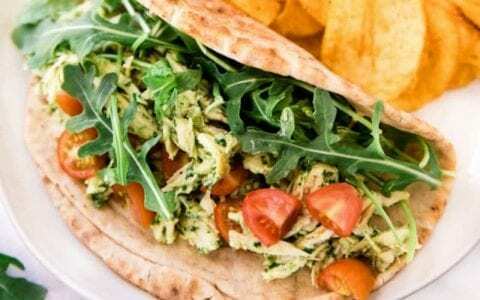 Doesn’t this look like something Mom would enjoy on Mother’s Day? 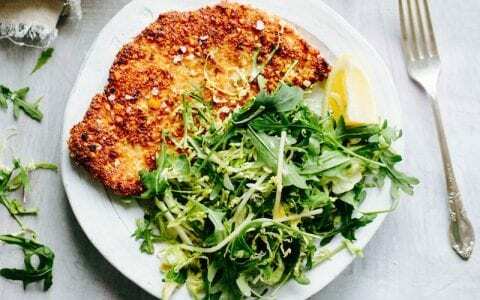 You can serve this to her on a tray for breakfast in bed or take it outside and eat in the garden. It was such a lovely day that I opted for eating my breakfast in the backyard. 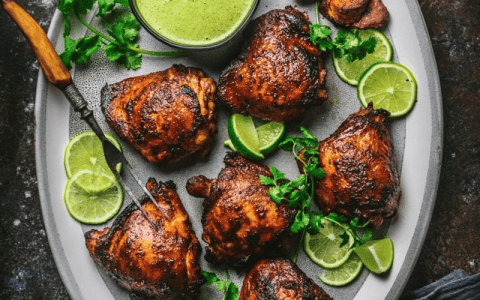 Serve with a side of fresh strawberries and orange juice (or a mimosa). constantly until done. Do not over toast or burn. bowl and cream using a hand mixer until well blended. 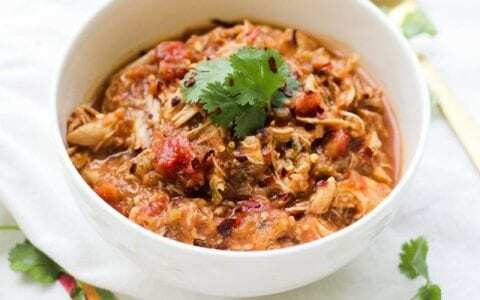 Fold warm chicken, toasted almonds, and toasted coconut into mixture. towards the center then fold the top and bottom to make a neat little package. in the pan. Cook about 4-5 minutes until golden. Carefully flip over and cook until golden on the other side. Heat the strawberry preserves in a small saucepan until warm. Remove from heat and pour over crepes. Hi I'm Kylie! I am a magic making, party planning, glitter loving, champagne drinking, Housewives watching blogger. I've got a great hubby, two kids that are my world, no pets, and more glitter than I know what to do with. 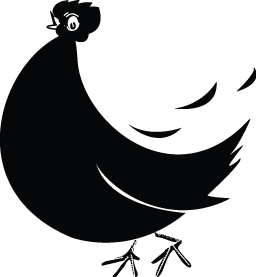 My blog reflects my classic girly, pink, sparkly, and glittery style and readers enjoy my recipes, DIYs, tutorials, party inspiration, and honest product reviews.